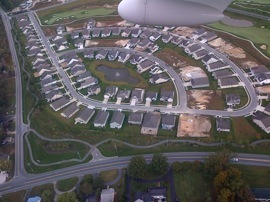 Dewey Villas in Dewey Beach!!! Looking for a great beach destination to take your friends and family this summer? Dewey Villas in Dewey Beach has the perfect combination of household amenities and proximity to all of the great Dewey and Rehoboth locations to help you unwind after the harsh winter. Dewey Villas are located on the ocean block just a minute’s walk away from the beach. The location of the villas is perfect for those who wish to avoid heavy traffic during the busy summer season. Since it is located in the center of Dewey Beach, most visitors to the Dewey Villas can simply park their vehicles in their assigned parking spaces and walk to plenty of nearby destinations. 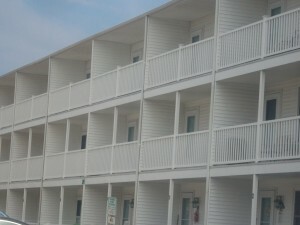 The Dewey Villas in Dewey Beach are part of a larger condominium complex. Each unit in the complex has air conditioning, a washer and dryer, a dishwasher, tv, cable, and high speed internet access making visitors feel right at home. Units in this complex have either one or two floors. Some units have balconies or a deck for extra outdoor space. All units have front porches, and each guest has access to the Dewey Villas’ community pool which is great for a refreshing swim after a long day at the beach. Reviews for the villas are universally positive with guests raving about the cleanliness of the condos, the helpful attitudes of the owners (each unit in the complex is individually owned), and the proximity to some great Dewey/Rehoboth destinations. One such destination is the Rusty Rudder directly across the street. The Rusty Rudder is a popular local restaurant known for it’s fantastic food specials and beautiful views of the Rehoboth Bay. Also near the Dewey Villas in Dewey Beach is the Jolly Trolley. This trolley takes visitors north to nearby Rehoboth Beach where there is no shortage of fun and relaxing activities to enjoy by yourself or with the whole family. Challenge yourself to a day of parasailing and windsurfing, spend your days relaxing on the beach, or simply peruse the hundreds of outlet shops in the area. Spots at the Dewey Villas are filling up fast, so make sure to reserve yours quickly to ensure a wonderful vacation this summer!